It’s getting cooler here in New York by the day. While I love the cool crisp air of fall here in the northeast, I know that it means the snowy winters we usually have here are on the way! Although the winters here can be a bit of a pain, I know it comes with the territory, so I’m always prepared for them. Last year I started seeing new gloves hit the market aimed at Smart Phone users, but I never got around to buying a pair for myself (even though I’m glued to my iPhone all day! 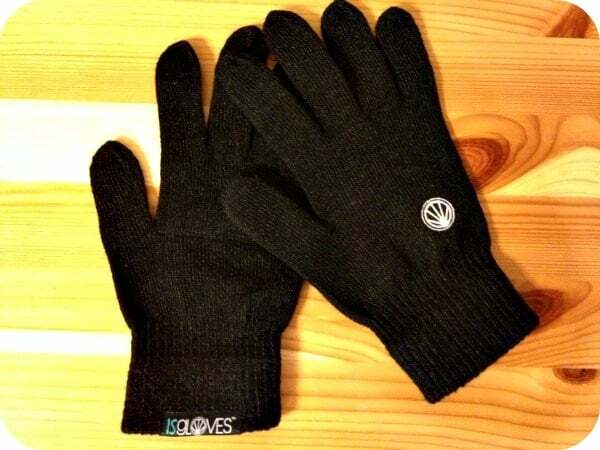 ), so I was glad to have the opportunity to review a pair of cellphone gloves from ISGloves. 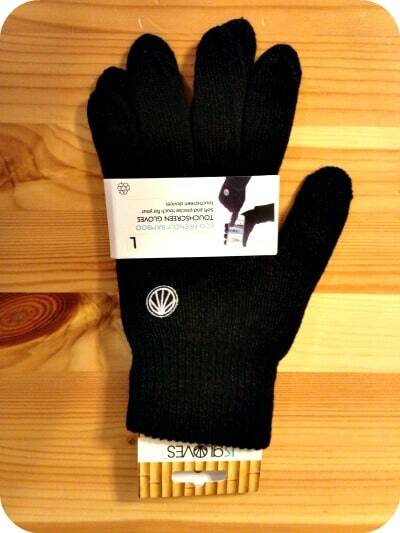 I received a pair of Simple Black Cellphone Gloves from ISGloves for review. The gloves have a lot of great features – they are thermal regulating, water repellent, hypo-allergenic, and are made from trademarked FIETT material (an eco-friendly solution of bamboo and nanotechnological polyester yarns that disallows bacteria growth and has natural hypoallergenic properties). With all those characteristics, I was excited to try them out! When they arrived I was impressed at how super soft they felt. The first thing I did was put them on and pull out my iPhone – and they worked like a charm. I was able to scroll through my emails, access different apps and screens, and take pictures with ease. I was surprised at how well these gloves functioned with my phone – it was as if I was using my actual fingers. There’s no bulk to these gloves, yet they felt warm. I’m confident they will be able to keep up with me during my NY winters! Available in sizes S/M/L, these gloves retail for $19.00 online. ISGloves is the product of the FIETT manufacturing company – a company committed to producing the latest cutting edge textile tech goods that are also eco-friendly. ISGloves is FIETT’s first product on the market, currently offered in both glove and mitten styles. You can see the current line of ISGloves on their website. I like that they are very practical – keeping you warm, wicking moisture and enabling you to use a touch screen but I also love that they are made with ecofriendly bamboo! I like that they are made from eco-friendly materials. I learned that the one in this giveaway is made of a novel eco-friendly solution of bamboo and nanotechnological polyester yarns. P.S. Subscribed to Simply Stacie by another email (lfortener1 at woh dot roadrunner dot com). I learned that the gloves offered in this giveaway have natural hypo-allergenic properties. I learned that the product is eco friendly and my hands can be warm while using a phone. i learned that they were based in Singapore. I learned that the gloves are made from recycled materials. ISGLOVES™ – Original (White/Black) (iPhone Gloves). love them! I like the Sports (black) touchscreen gloves. They are made of recycled polyester! I like the ISGloves Sport gloves for iPhone. I love that they are so environmentally conscious! I like that they’re made from eco-friendly materials! I learned that they only use eco-friendly materials. eco friendly and recycled material real cool! i learned that they are made from recycled materials. I like that you can touch your touch screens through the gloves. I never realized there were so many different styles available… the sports version would come in so handy around here! I got to say I love that their products are eco-friendly. I learned that they are currently the only touchscreen gloves sold commercially that come in a mitten. I like that they have gloves with the mitten covers too. They are wind and water resistant, and should work in the coldest climates you find. They work in a harsh norwegian winters at least, and temperatures drop to -35 celsius at worst there. However, the simple version has its limits. I learned that these gloves are partially made from bamboo threads, one of the most environmentally-friendly materials. I like that they are ecofriendly!! I learned that they are truly eco friendly and made out of only recycled materials. I like that they are eco friendly. I learned they won the Red Dot product award Honorable Mention title in 2012! That’s awesome! I like that they are made out of Recycled Polyester making them so Eco-friendly. I learned that the company is located in Singapore.